Almond milk is a common ingredient used in smoothies, but this amazingly versatile ingredient can go into a number of recipes. It makes your sauces creamy, keeps baked goods fluffy, and gives beverages a bit of sweetness. It also provides you with essential nutrients – you get about 38% of your daily intake of calcium from an 8oz cup of almond milk. It also provides you with vitamin A, riboflavin, vitamin E, zinc, and vitamin D. Some knowledge about using almond milk can help you get these essential nutrients in a rather delicious way. Let's find out more about it. You can use almond milk in more ways than you might think. It offers several health benefits, mainly because of the essential nutrients it has. It may not be a rich source of protein, but you can certainly play with other ingredients to compensate for that. You can always use almond milk in smoothies and make them even healthier. Just add some almond milk along with some frozen fruit in a blender and prepare a perfect smoothie. Change the amount of almond milk to change the thickness of your smoothie. A great way to use almond milk is to make some Indian-style treats. Here is how you can make saffron almond or kessar-badaam using it. Add 2 cups of almond milk (chilled) to a blender along with 2 dates (de-seeded), 2 drops of vanilla extract, and a spoon of fresh cream. Blend well and pour into a glass. Use saffron for topping to enhance its flavor. What to do with almond milk? 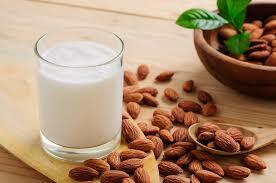 You can use almond milk in any recipe in place of cow's milk. Replace cow's milk with the same amount of almond milk in your recipe. You can use it while preparing soups, making sauces, or baking anything else. Almond milk offers many nutritional benefits, but it is low in protein, and that is why you can always mix it with protein powder. Just mix it with any type of protein powder. You can include it in your diet, especially when you do not want to drink cow's milk to increase your intake of protein. As you may have gathered that you can use almond milk in a number of different ways, but you may be wondering if there are some specific recipes that use almond milk. Here are some suggestions for people thinking what to do with almond milk. Add half teaspoon of the salt and the macaroni. Cook it, drain, and set aside. Whisk the almond milk with the flour, cream cheese, and garlic powder in a saucepan. Use medium-high heat and bring the ingredients to a simmer. Reduce the heat and cook until it has a creamy texture. Turn off the heat. With an oven rack set to the upper-middle position, start heating the broiler to high. 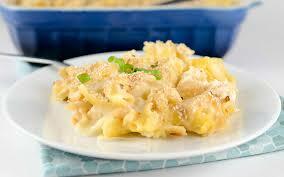 Now, stir the macaroni, along with 2 tbsp. of cheese, 2 tbsp. of basil, and the remaining teaspoon of salt. Now, divide the mixture into 4 ramekins (8oz each) and place on a rimmed baking sheet. Use the remaining tablespoons of cheese for topping and broil until you notice the tops become browned – this may take 4-6 minutes. Now, sprinkle the remaining basil and serve. Combine cabbage ingredients with black pepper and half teaspoon of kosher salt in a large pan. Mix these ingredients well and then place over medium heat. Stir it well when it begins to simmer. Reduce the heat and cover. Keep stirring occasionally for about half an hour or so. Take a medium pot and cover parsnips with water in it. Bring it to a boil and cook for about 12 minutes or until it becomes tender. Drain it and place in a food processor with butter, almond milk, pepper, and salt. Puree until it becomes smooth. 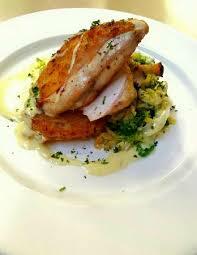 Put puree and cabbage in 4 plates and serve with chicken. Don't know what to do with almond milk? This recipe will surely help you with that! 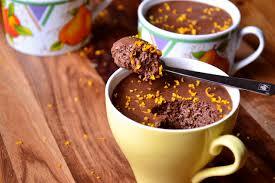 Take a small saucepan and add chocolate, almond milk, and cocoa to it. Cook these ingredients over medium heat and stir occasionally. Keep cooking until chocolate melts completely. Transfer this mixture to a bowl and stir in a teaspoon of orange zest. Let it cool. Now, fold whipped topping into chocolate mixture. Let it become smooth. Leave it for a couple of hours or until set. Divide into six servings – you can use small serving bowls. Do not forget to top with orange zest and mint. Serve with raspberries. Whether Watermelon Is Heat or Cold for Body? Is Eating Ham Good for Health? Is High Fructose Corn Syrup Less Healthy?